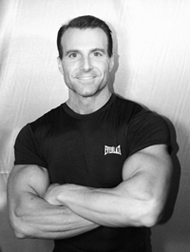 Ask The Fat Loss Guru is a series of Q & A with fat loss expert, Tom Venuto. Tom is a natural bodybuilder, certified strength and conditioning specialist (CSCS) and a certified personal trainer (CPT). I’ve learned so much from Tom through is e-book, Burn the Fat, Feed the Muscle. No hype, no gimmicks—Tom shoots straight from the hip, and tells you the truth about fat loss. ANSWER: There’s a logical explanation for why bodybuilders and other physique athletes (fitness and figure competitors), don’t remain completely ripped all year round, and it’s the very reason they are able to get so ripped on the day of a contest… You can’t hold a peak forever or it’s not a “peak”, right? What is the definition of a peak? It’s a high point surrounded by two lower points isn’t it? Therefore, any shape you can stay in all year round is NOT your “peak” condition. I am NOT talking about bulking up and getting fat and out of shape every year, then dieting it all off every year. What I’m talking about is going from good shape to great (peak) shape, then easing back off to good shape…. but never getting “out of shape.” Makes a lot of sense, doesn’t it? Here’s an example: I have no intentions whatsoever of walking around 365 days a year at 4% body fat like I appear in the photo on my website. Off-season, when I’m not competing, my body fat is usually between 8 – 10%. Mind you, that’s very lean and still single digit body fat. I don’t stray too far from competition shape, but I don’t maintain contest shape all the time. It takes me 12-14 weeks or so to gradually drop from 9.5% to 3.5%-4.0% body fat to “peak” for competition with NO loss of lean body mass…using the same techniques I reveal in my e-book. It would be almost impossible to maintain 4% body fat, and even if I could, why would I want to? For the few weeks prior to competition I’m so depleted, ripped, and even “drawn” in the face, that complete strangers walk up and offer to feed me. Okay, so I’m just kidding about that, but let’s just say being “being ripped to shreds” isn’t a desirable condition to maintain because it takes such a monumental effort to stay there. It’s probably not even healthy to try forcing yourself to hold extreme low body fat. Unless you’re a natural “ectomorph” (skinny, fast metabolism body type), your body will fight you. Not only that, anabolic hormones may drop and sometimes your immune system is affected as well. It’s just not “normal” to walk around all the time with literally no subcutaneous body fat. Instead of attempting to hold the peak, I cycle back into a less demanding off-season program and avoid creeping beyond 9.9% body fat. Some years I’ve stayed leaner - like 6-7%, (which takes effort), especially when I knew I would be photographed, but I don’t let my body fat go over 10%. This practice isn’t just restricted to bodybuilders. Athletes in all sports use periodization to build themselves up to their best shape for competition. Is a pro football player in the same condition in March-April as he is in August-September? Not a chance. Many show up fat and out of shape (relatively speaking) for training camp, others just need fine tuning, but none are in peak form… that’s why they have training camp!!! There’s another reason you wouldn’t want to maintain a “ripped to shreds” physique all year round – you’d have to be dieting (calorie restricted) all the time. And this is one of the reasons that 95% of people can’t lose weight and keep it off—they are CHRONIC dieters… always on some type of diet. Know anyone like that? You can’t stay on restricted low calories indefinitely. Sooner or later your metabolism slows down and you plateau as your body adapts to the chronically lowered food intake. But if you diet for fat loss and push incredibly hard for 3 months, then ease off for a while and eat a little more (healthy food, not “pigging out”), your metabolic rate is re-stimulated. In a few weeks or months, you can return to another fat loss phase and reach an even lower body fat level, until you finally reach the point that’s your happy maintenance level for life – a level that is healthy and realistic – as well as visually appealing. Bodybuilders have discovered a methodology for losing fat that’s so effective, it puts them in complete control of their body composition. They’ve mastered this area of their lives and will never have to worry about it again. If they ever “slip” and fall off the wagon like all humans do at times … no problem! They know how to get back into shape fast. Bodybuilders have the tools and knowledge to hold a low body fat all year round (such as 9% for men, or about 15% for women), and then at a whim, to reach a temporary “peak” of extremely low body fat for the purpose of competition. Maybe most important of all, they have the power and control to slowly ease back from peak shape into maintenance, and not balloon up and yo-yo like most conventional dieters! What if you had the power to stay lean all year round, and then get super lean when summer rolled around, or when you took your vacation to the Caribbean, or when your wedding date was coming up? Wouldn’t you like to be in control of your body like that? Isn’t that the same thing that bodybuilders and fitness/figure competitors do, only on a more practical, real-world level? These physique athletes get as ripped as they want to be, exactly when they want to, simply by manipulating their diets in a cyclical fashion between pre-contest “cutting” programs and off season “maintenance” or “muscle growth” programs. Even if you have no desire to ever compete, try this seasonal “peaking” approach yourself and you’ll see that it can work as well for you as it does for elite bodybuilders.